Make good use of the materials that make up old electrical equipment by recycling them rather than disposing them in landfill. To make sure that there are good facilities to takeback old electrical products, Panasonic has helped to fund the ‘Distributor Take Back Scheme’. Through membership of this scheme, we have paid toward the provision of improved recycling facilities for the benefit of the general public across the UK. You are now able to take any old electrical equipment to participating civic amenity sites (often known as ‘Household Waste Recycling Centres’) run by your local council. Funding collected through the Distributor Take Back Scheme has been distributed between all Local Authorities in the UK to ensure the provision of improved recycling facilities. Then as a producer of electrical and electronic goods, Panasonic provides further financing for the onward transportation, treatment and recycling of waste electrical products returned to such authorised collection points. 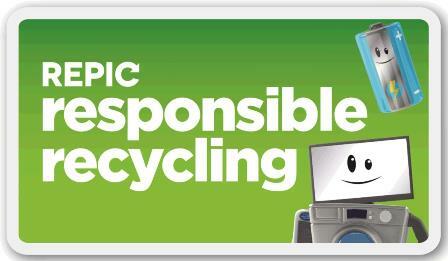 To do this Panasonic helped to found the recycling scheme called REPIC. REPIC ensures that the waste electrical products that it collects are correctly recycled and do not end up being exported as waste. Take a few minutes to see what recycling is all about, and find out where your nearest Household Waste Recycling Centre is located by clicking here. UK households dispose of over 1.2 million tonnes of electrical and electronic waste every year. This is the equivalent of 150,000 double-decker buses and would be enough to fill the new Wembley Stadium 6 times over. Unfortunately, much of the UK’s electronic waste still ends up in landfill sites where it cannot be recycled to extract useful materials. This also means that there is a greater chance of the uncontrolled release of chemical substances contained within the equipment, with potentially adverse effects to the local environment. So please help make new products from your waste and don't put old electrics in your general household waste, as it will then probably not be recycled and end up in general landfill or be incinerated. To help remind you to recycle, all new electrical products are marked with a crossed out wheeled bin symbol. Don't forget your used batteries either. Each time you buy a new Panasonic battery or product supplied with batteries, Panasonic contributes to the recycling of old batteries - but you have to provide them! 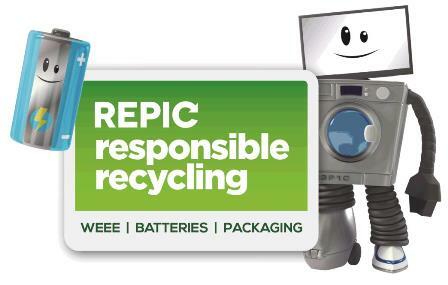 Alternatively you are welcome to return waste portable batteries in person to our main reception at our registered office. Please click here for details. Please note that waste batteries cannot be sent to us by post.